← Look for the Helpers. 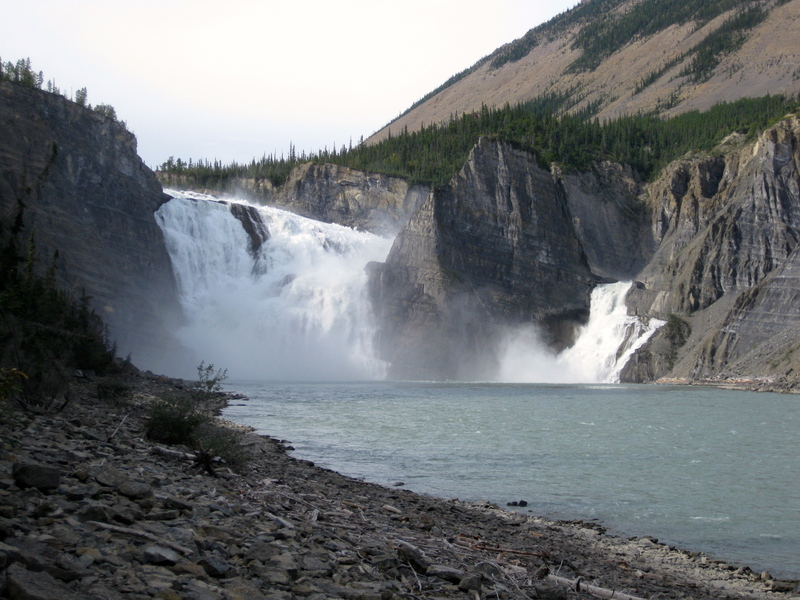 The South Nahanni River is a true Canadian Icon, a World Heritage site. It is rugged, powerful, inaccessible, and indescribably beautiful. 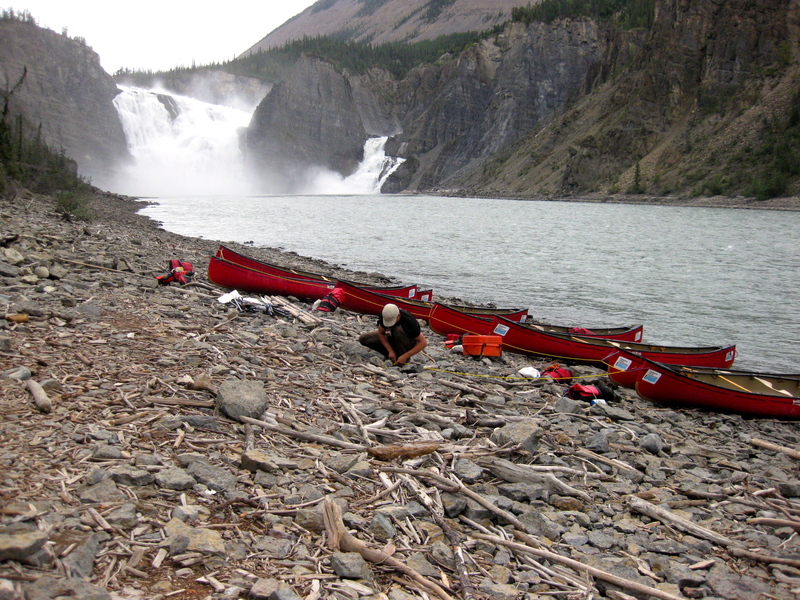 Paddling the 200 or so kilometers of the South Nahanni below Virginia Falls in a canoe is a legendary feat for enthusiasts and aficionados of the sport. Virginia Falls, the start point for most canoe adventures, is almost worth the trip alone; powerful and beautiful, it has more vertical drop than Niagara Falls. My real start point happened months before. I fear the unknown. Lacking real knowledge of what lies ahead, I imagine the worst, my parade of uglies. I am also afraid of water, more specifically, I am afraid of drowning. I’ve tipped sea kayaks on both coasts. Pool swims are fine but open water swimming paralyzes me. I managed a 2 km open water swim for a triathlon, it gave me nightmares for weeks before; when I came out of the water I did a happy dance; the rest of the tri was easy-peasy. I finally gave up on scuba diving; I could never completely calm my wild-eyed anxiety. I have tried to manage this fear, irrational as it is; not because I think I can banish it, I just don’t want to close off opportunities for adventure because it controls me. 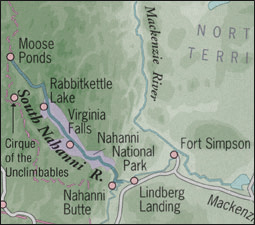 Why then, would I take on the challenge of canoeing, much less canoeing the South Nahanni when I am so fearful? This is a river and a land that demands respect. The answer is Outward Bound. 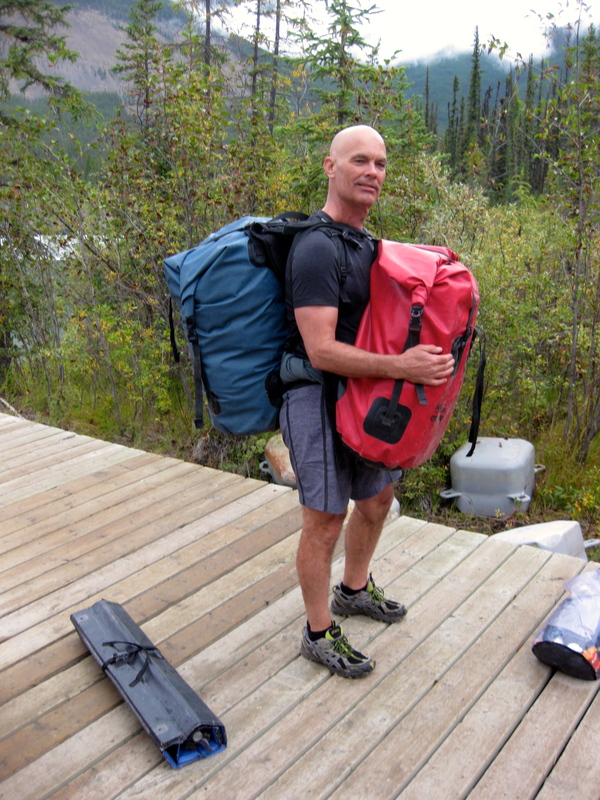 My Outward Bound experience started in 1995 with an 8 day trek into the backcountry north of Pemberton, BC. Blair, my son, had done a similar 14 day trip the previous year; he had made a remarkable transition to a new high school as a result of his OB adventure. I wanted some of what he got from that transformative experience. 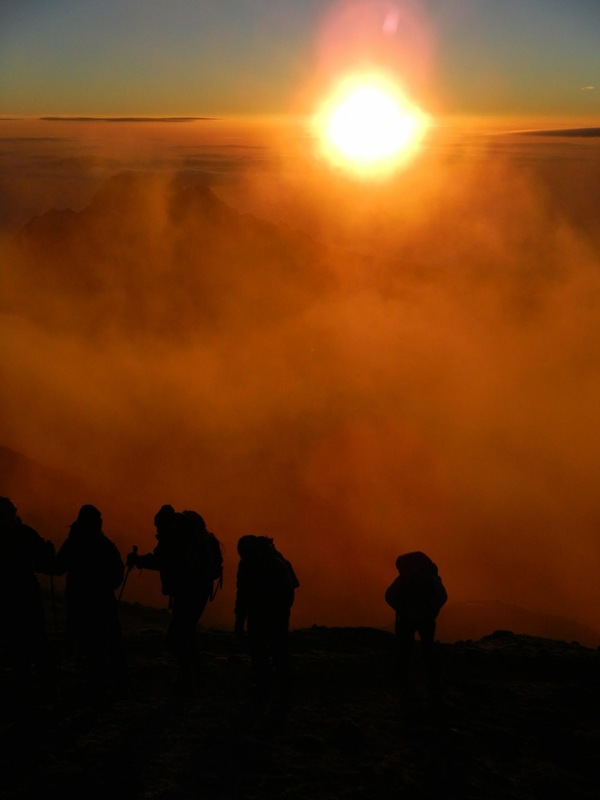 In my 64th year, I summitted Kili with 12 other brave and intrepid explorers – bound together by trust, a growing faith in our abilities and our commitment to reach the top. We all made it; it was exhilarating, life affirming and joyful, reinforcing my belief in the power of Outward Bound to transform lives. When offered the opportunity to join the South Nahanni expedition, I committed immediately. I trusted Outward Bound. I trusted Sarah and her staff. I trusted they would help me manage my irrational fear of drowning and the unknown. I trusted they would open the door to a magical experience beyond my expectation. Regardless, my overactive imagination kicked in. What was I doing? How was I going to get out of this? I spoke to Sarah; describing my fears, phobias and anxieties. Calm, compassionate and caring, she offered up solutions. Lindsay, OB’s western operations manager, spent a Sunday afternoon, a valuable day off for her, to teach two of us the basics of canoeing. I fussed over gear, they gave me a comprehensive list and encouraged me to rent the best from our outfitter. I fussed on other matters, they calmly answered my every question. As departure day approached, fitful sleeps became nightmarish; feverishly graphic Wes Craven movies roiled in my mind testing my resolve and my trust in Outward Bound. I repacked my carefully chosen gear for the umpteenth time, flew to Yellowknife to meet the team. Next morning, I boarded the plane to Fort Simpson in spite of my anxieties, buoyed and comforted by my fellow adventurers. 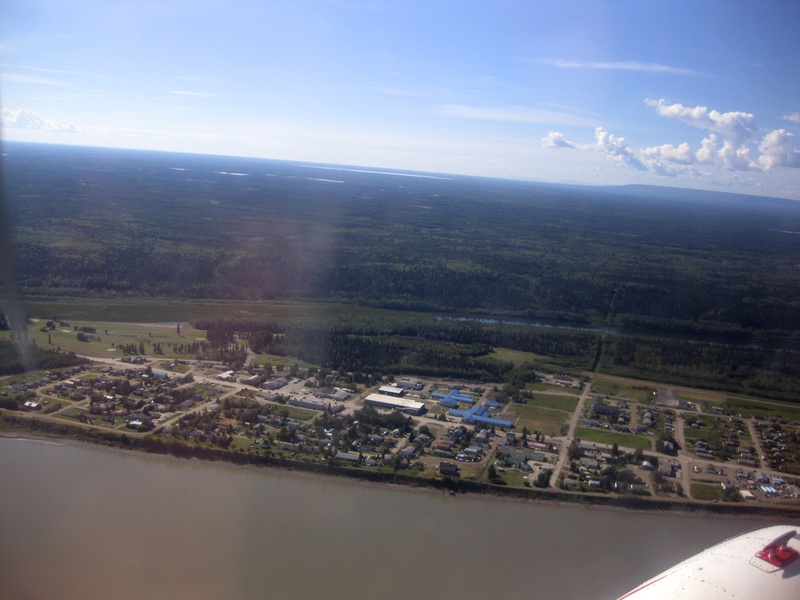 We arrived in Fort Simpson, a small bustling burgh on the Mackenzie River. We met Ursula, our NRA local guide. http://nahanni.com She had already completed 5 trips down the river this year, was bursting with enthusiasm for her sixth and last with us – she was just what I needed, local knowledge personified. To make things even better, I met Jason, our Outward Bound guide. 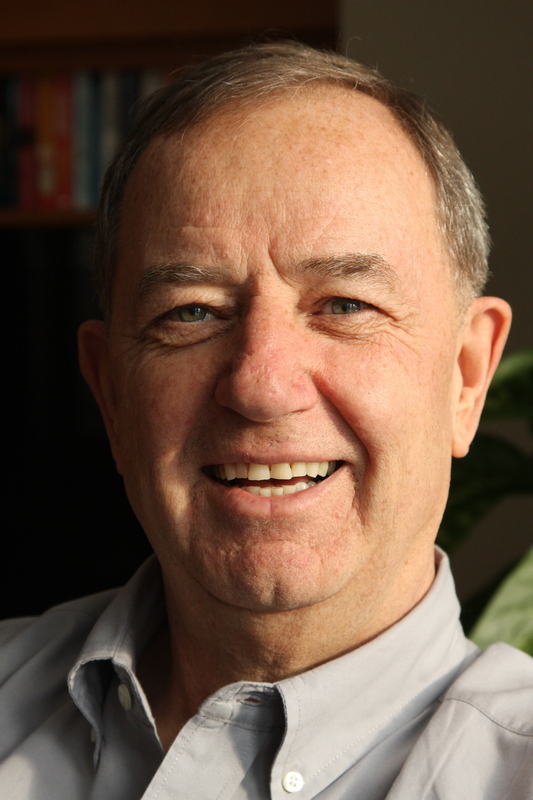 He had canoed the South Nahanni and now worked out of Canmore for Outward Bound. He was perfect, an expert paddler steeped in the OB tradition of teaching and leading; he knew naturally how to calm those of us with the pre-trip yips. Finally there was Sarah, a seasoned paddler with miles of river experience and the most giving person I have met. She came with powerful news. Neil Hartling, the owner of NRA, had an option for us, canyon rigging. Canyon rigging is simple, bind two canoes together with poles across the canoes, creating a stable catamaran that will sail through whitewater with ease. It was a brilliant solution, a practical workaround, setting most of my fears to rest. We also had sponsons, inflatable stabilizers attachable to the canoe sides for greater stability in rough water. My spirits soared. We each got a Farmer John, a wet suit, to keep us warmer in the cold waters when we were splashed or had to unload the canoe; a PFD and a helmet were mandatory. We were given safety instructions and the less experienced of us received an extra training session with Jason. All showed Outward Bound’s relentless commitment to safety. More bonus! I was amazed at the experience, enthusiasm and energy of the other 10 guests. Olivia had paddled almost every river I could name, many several times. Mark, Rob, Jamie and KC were experienced paddlers, confident and asssured. A few of us were anxious but we trusted in Sarah, Jason and Ursula. I slept well that night, better than I had in the past week. The gods rewarded me with a sign; I saw my first northern lights that night, their dancing luminescence brought a smile, how can I not smile with such an overt thumbs-up from the gods of the north? Thursday, August 25, dawned hot and sunny. 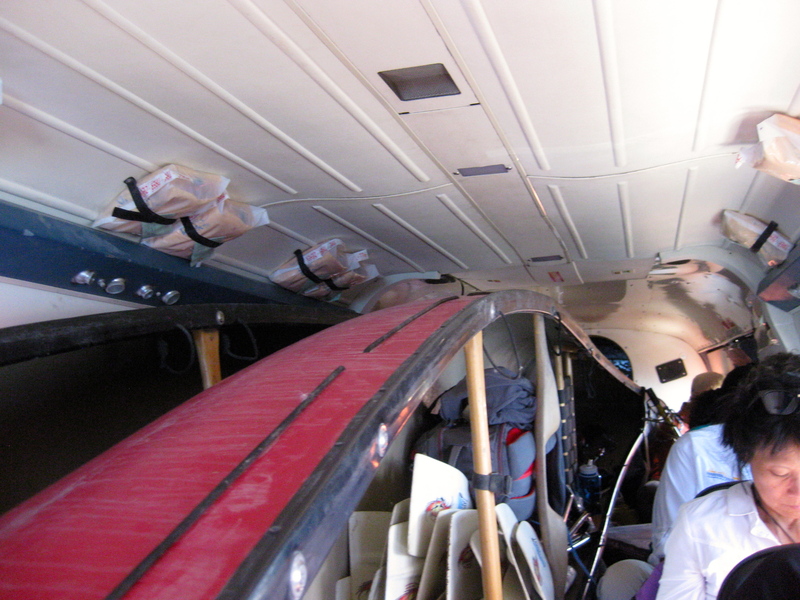 Somehow, Jacques, our pilot – the Indiana Jones of the north – managed to load three canoes, some 500 pounds of gear and six of our team inside – yes inside – his Twin Otter for the hour long flight to Virginia Falls. When Jacques returned, we loaded out, flew west, landed, taxied over to a small dock above the Falls and quickly unloaded the plane. Jacques departed. We started the 1.5 km portage down below the falls. We were here; we had made the leap of faith – the final irrevocable statement of trust. Plain physical activity alleviates my anxiety and the hard work of portage was rewarded with a perfect view of the Falls. Outward Bound’s commitment to our safety was comprehensive and calming. Sarah, Jason and Ursula were outstanding paddlers and leaders. 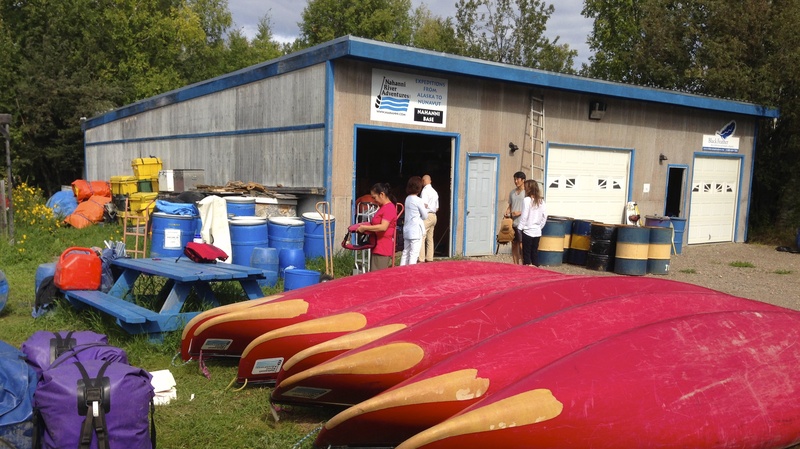 We had canoes geared for all our levels of expertise and confidence. We had safety gear for every possibility. We were fourteen fellow adventurers full of anticipation and wonder. This entry was posted in Uncategorized and tagged canoes, Climbing Kilimanjaro, fitness over 60, fort Simpson, middle aged fitness, midlife adventures, Off the Couch and Out the Door, Outward Bound, south nahanni river. Nahanni River adventures, virginia Falls. Bookmark the permalink. A wonderful adventure!! 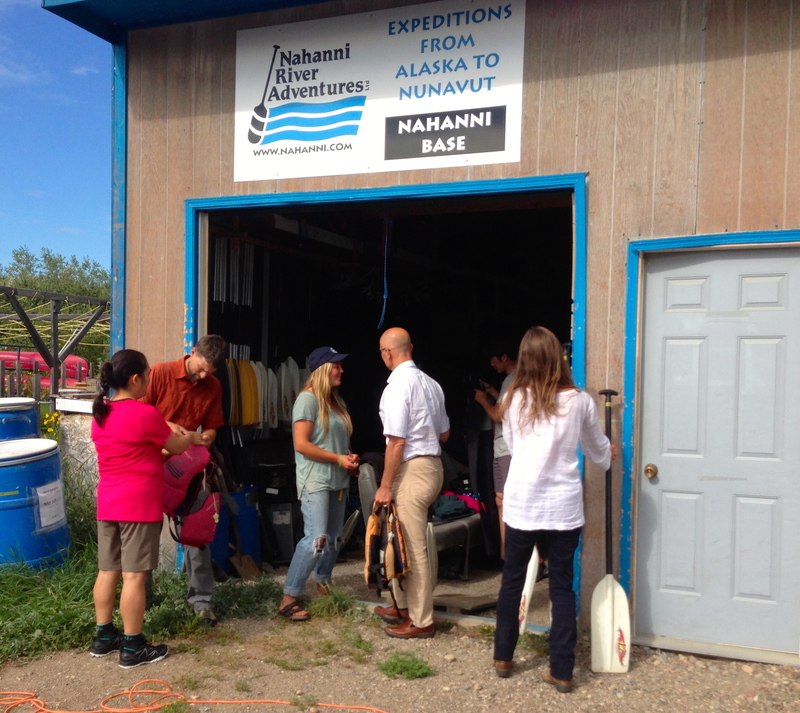 It was a privilege to experience the Nahanni with you and the Outward Bound group. Bob, thanks for that! Glad you took the “plunge” and joined the team on the river. I look forward to more photos and stories. And I agree, Sarah Wiley is one of the most giving people I know.